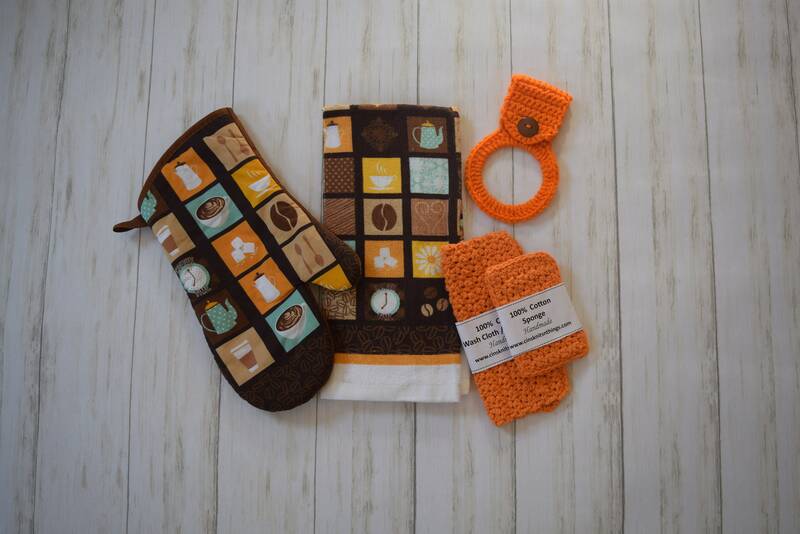 This kitchen set includes Oven Mitt, Towel with handmade hanging ring , handmade dish cloth, and sponge. Makes a great Mothers day gift. This is a great add to your home décor. Makes great gifts for your co-workers, teachers, brides, housewarming gift ,or even your self. Made lovingly in a smoke-free home. Please note that actual colors may vary slightly due to variance in computer screens and dye lots. Remember - this item will be handmade especially for you - your cup cozy may not look exactly like any others!